UNISON members will be taking action on 30th November to defend their pensions after they voted overwhelmingly to join the TUC co-ordinated day of action. government move significantly from its original proposals. there are no detailed offers for the different public service pension schemes that members can make a decision on. UNISON will continue to negotiate on our members’ behalf right up until 30th November and we will consult members when any firm offer is received. 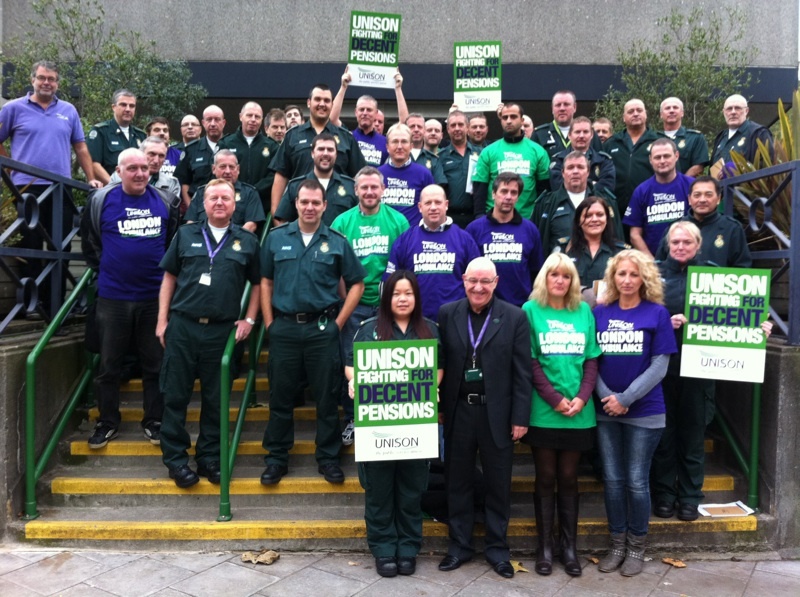 action on 30th November alongside other public sector unions and the TUC. appropriate event. Details of the day’s arrangements will be advertised as soon as they are available. We ask all other members not at work to come and support those taking action where they are able to and show our strength as a Union. Previous Pensions Dispute FAQ’s – What’s happening, What does it mean?